Yamuna Body Rolling offers massage and a way to improve alignment by using different sizes of dense rubber balls. 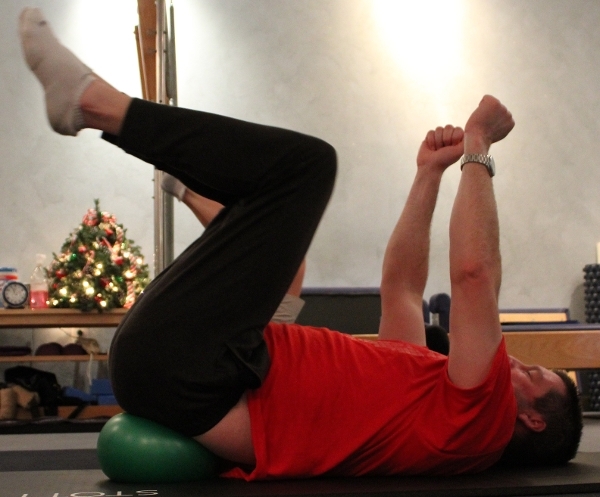 The release of tension is accomplished by rolling the ball through the muscles. This system is effective for athletes and for people with fibromyalgia, those in rehab for injury, and those with osteoporosis and arthritis. The trainer guides the client through specific motions and most people can see and feel improvement in just one session.